It’s no secret that for a very long time, there’s been a lot of belief in the medicinal powers of cannabis, particularly for people with disorders associated with chronic pain and muscle spasms/spasticity, such as multiple sclerosis (MS). Cannabis has actually been used for medicinal purposes for centuries, including in ancient traditional medicine – and in modern medicine in various countries, such as Canada, Holland and many US states. It was used historically in the UK too, but attitudes changed when recreational cannabis use was banned in 1928, and the substance outlawed further in 1971 under the Misuse of Drugs Act, when growing, producing, supplying and possessing cannabis became illegal. A number of calls have been made to legalise cannabis for medicinal use in the decades since and the topic’s been the subject of much debate. A campaign sparked by Charlotte Caldwell, who’d been to Canada to obtain cannabis oil to help manage her 12-year-old son Billy’s severe epilepsy, triggered these recent changes in the law. On her return to Heathrow back in the summer, Billy’s cannabis oil was seized and his health plummeted, highlighting a pressing need to consider whether it was right to deny patients access to the potentially helpful drug. So is cannabis an effective medicine? The marijuana plant contains approximately 200 chemical compounds, and the two that attract most attention are CBD (cannabidiol) and THC (tetrahydrocannabinol), the psychoactive compound responsible for the cannabis ‘high’. Both CBD and THC are associated with potential health benefits, including in the treatment of pain, inflammation, muscle spasticity, nausea, vomiting and anxiety – although naturally, there’s also a lot of controversy and concern around THC, which is linked with a range of negative effects too, such as psychosis. While much of the evidence for medicinal cannabis has been anecdotal, there has also been a growing body of research supporting its medical properties, and studies have found it can have significant effects on the neurotransmitters and brain receptors associated with pain. However, while the evidence as it stands was deemed sufficient for the recent changes in the law to be agreed, there are still a lot of gaps and a lot more research needs to be done before the effectiveness and practicalities of cannabis as licenced medicine can develop further. This means that, right now, there are still a lot of restrictions over how medical cannabis is prescribed – and we’re still a very long way off seeing it widely used as a treatment for chronic pain as there is very little research evidence to support its use for various chronic pain conditions. However, there are several planned and ongoing studies targeting more common chronic pain conditions which will be analysed as soon as results become available. Medical cannabis can only be prescribed for chronic pain as part of a robust research project. Who can use medical cannabis in the UK now then? Firstly, laws around recreational cannabis have not changed – so smoking cannabis is still illegal (it’s also important to be aware that the harmful effects of smoking almost certainly outweigh any potential benefits). Secondly, only specialist doctors can prescribe medical cannabis – you won’t be able to get it from your GP or from pharmacies – and permission will have to be applied for. 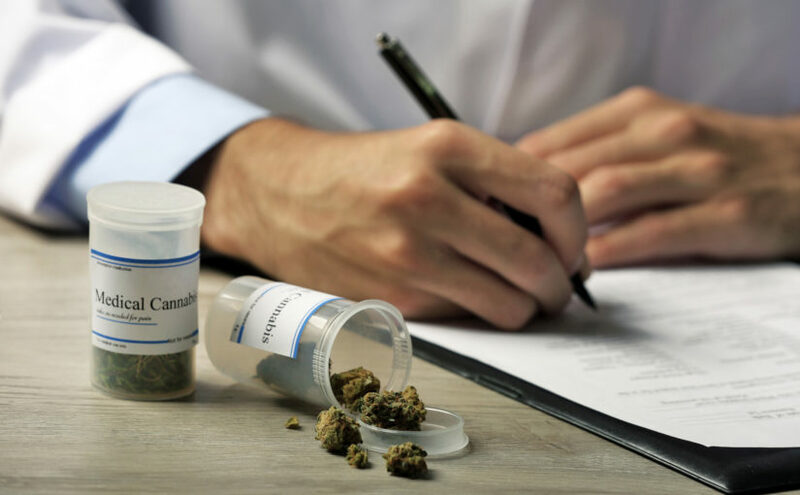 There are still very few cannabis-based drugs licenced for use (there’s Sativex, used for MS, and Epidiolex, used for very severe epilepsy) and the doctor will have to demonstrate that no other drugs were available that could meet the needs of the patient. The drugs may also be used to treat vomiting and nausea caused by chemotherapy. What about ‘CBD oil’ supplements? You might have spotted a growing number of ‘CBD oil’ products available online, in the supplements aisles and health food shops, which seemingly anyone can buy. These aren’t the same as licenced CBD-based medicines and will contain very small amounts of CBD and no THC, which is strictly regulated. There are some claims that such ‘CBD oil’ products have therapeutic benefits but it’s important to remember that these items are not subject to the same levels of research and testing as licenced medical products. The ‘CBD oil’ pills you find in health food shops are classed as food supplements, rather than licenced medicines. If you want more information about how Complex Spine can help you to manage your pain, book an appointment with us today.